The Garden of Eden is often thought of as Paradise, and as such, is an apt name for this collection from the Michael Amini® Original Furniture Designs. 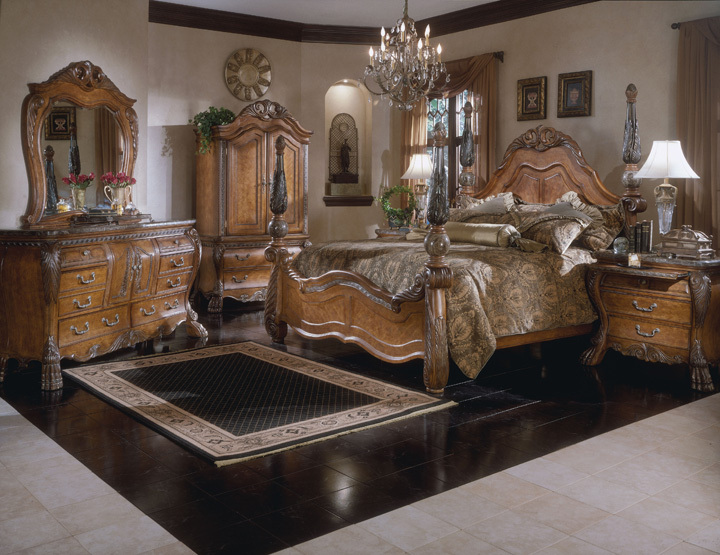 Eden brings the flair of European "Old World" styling, and ties it all together by featuring a Lion's paw motif. It is beautifully crafted in Birch solids and veneers, with inlays of Ash Burl that are able to show off the exquisite details of the pieces.